Brighton Campus Chiropractors is proud to be recognized as a worldwide leader in the field of Chiropractic. Brighton Campus Chiropractors is committed to enhancing the quality of life and promoting better health. We strive to maintain a philosophy that every patient deserves the highest quality chiropractic care accompanied by impeccable service. Brighton Campus Chiropractors is recognized as a company that shows concern for, and contributes to, our community. Through a long-term commitment to this mission, we are known as a company that values and respects all people. 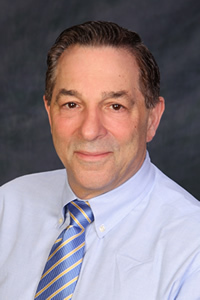 Dr. Louis S. Catapano- was born and raised in Huntington, NY. He graduated from SUNY college at Brockport in 1980 with a Bachelor of Science in Chemistry and Biology. He worked at the University of Rochester Medical Center from 1980 to 1982 with Frank Tang, Ph.D. performing biochemical research on the kinetics of c-AMP. Following his time at the U of R Dr. Catapano attended New York Chiropractic College and graduated in 1986 with a Doctorate of Chiropractic. While continuing to run a private practice Dr. Catapano attended the National College of Chiropractic from 1989-1992 leading to a Board Certification in Chiropractic Orthopedics. He is also is a Fellow in the Academy of Chiropractic Orthopedics. Dr. Catapano has been in private practice for 24 years. He has given grand rounds in internal medicine at both Highland and Genesee Hospitals. He has also given grand rounds in family medicine at Highland Hospital. Most of his practice today is based on referrals from medical physicians. When he is not in the office he enjoys spending time with his family, attending sporting events and landscaping. He is very involved in his church and actively supports the Juvenile Diabetes Research Foundation. Dr. Catapano and his wife Anne Marie Leo-Catapano have six children and reside in Rush, NY. Dr. John M. Sciortino - received his Doctorate Degree from New York Chiropractic College in Seneca Falls, NY. He holds a Master’s Degree in Toxicology from Northeastern University and graduated from the University of Rochester with a Bachelor’s Degree in Microbiology. Dr. Sciortino is a member of both the American Chiropractic Association and the New York State Chiropractic Association. He also holds Certification with the International Scoliosis Research Center. A native of Rochester, he is an alumnus of McQuaid Jesuit High School and is an active member of the Italian-American community. Outside of the office, Dr. Sciortino enjoys landscaping, soccer, and is an avid drummer. He and his wife, Elena, are the proud parents of two beautiful twin girls and reside in Victor, New York. Dr. Kevin Infantino was born and raised in Rochester, NY. He attended SUNY Fredonia, earning a B.S. in Biology. He also attended NYCC and has been in practice for the past 8 years. When he is not at the office, Dr Infantino enjoys bowling, basketball, gardening, and playing with his two children. He and his wife, Jessica and their two boys live in Greece, NY. ©2001 - 2016 Brighton Campus Chiropractors, All Rights Reserved For technical assistance with this web site please contact the webmaster.